SMALL REPAIRS-Look your piece over do you need to make any repairs? 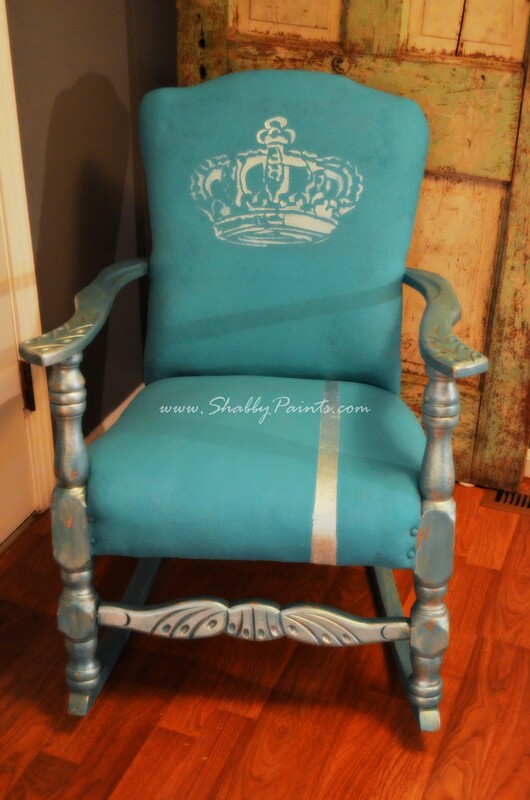 Fill holes and small damaged areas with Shabby Paints Texture. Let dry! Don’t worry it is paintable and stainable. SURFACE-Is your piece flaking or chipping? Sand any loose or chipping paint off, if it is flaking now painting over it won’t change that. Do you have a high gloss finish? If so roughing it up quickly with sandpaper to give it “tooth” will make adhesion better and you’ll use less product. 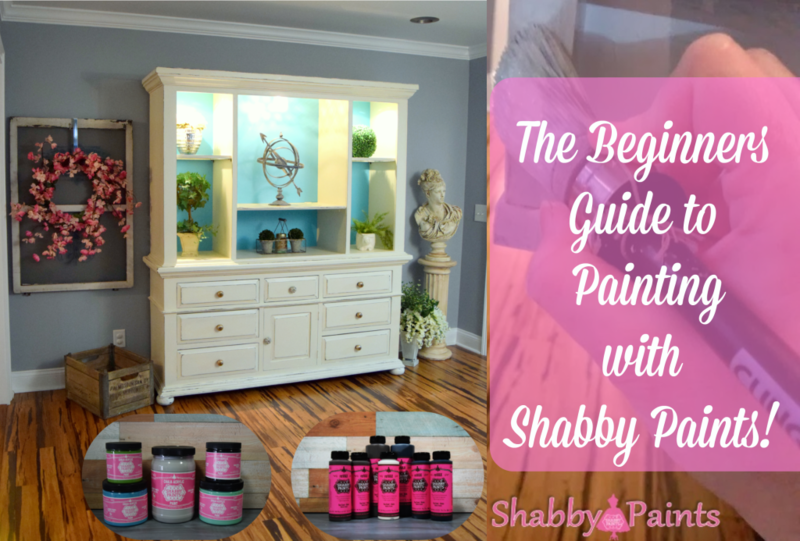 Saving you paint and money! CLEAN- WE CANT STRESS THIS ENOUGH! Clean all surfaces and hardware! 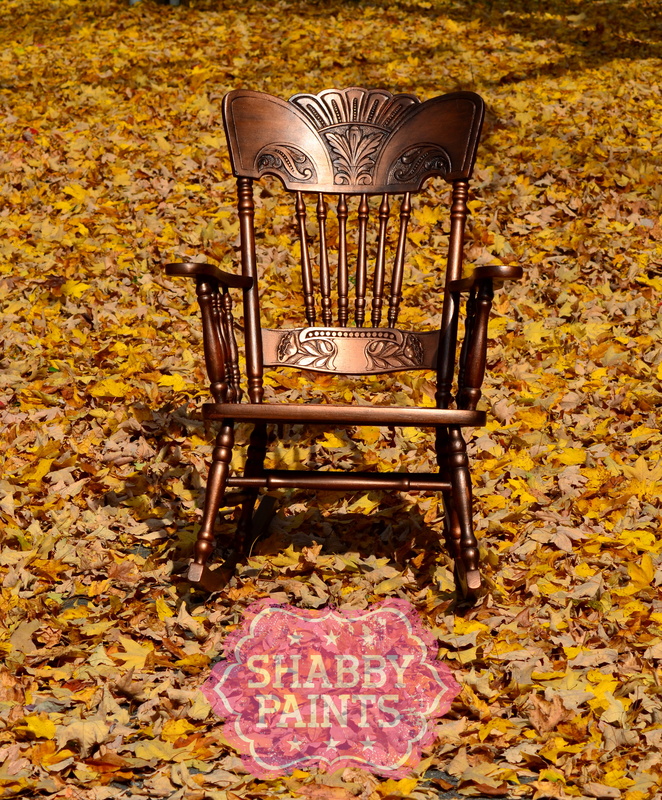 Shabby Paints recommends a 50/50 warm water white vinegar mixture and adding a few drops of Dawn to help cut grease. This is the most important step. Your paint must have a clean grease free foundation to adhere. 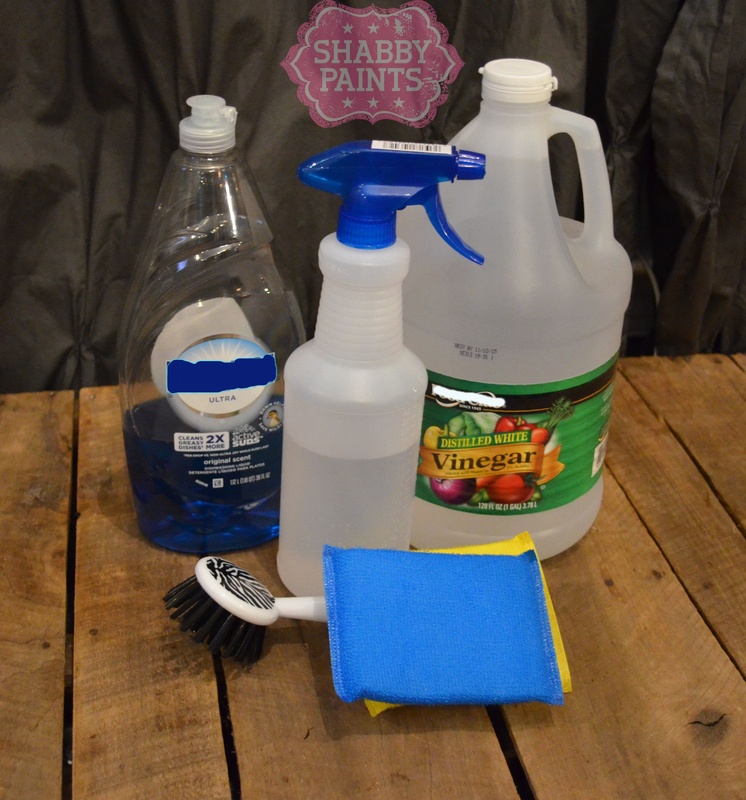 A kitchen scrubby pad can really give you an extra advantage. Grease and dirt have spent years building up so take the extra few minutes to make sure you have removed all the years of dirt and grime. RINSE-Equally as important as cleaning. Left over cleaner can impede adhesion. In short: Paint won’t adhere to a surface with cleaner on it. Download in pdf format to read later or print out and share. When working with latex, thin layers are ideal. 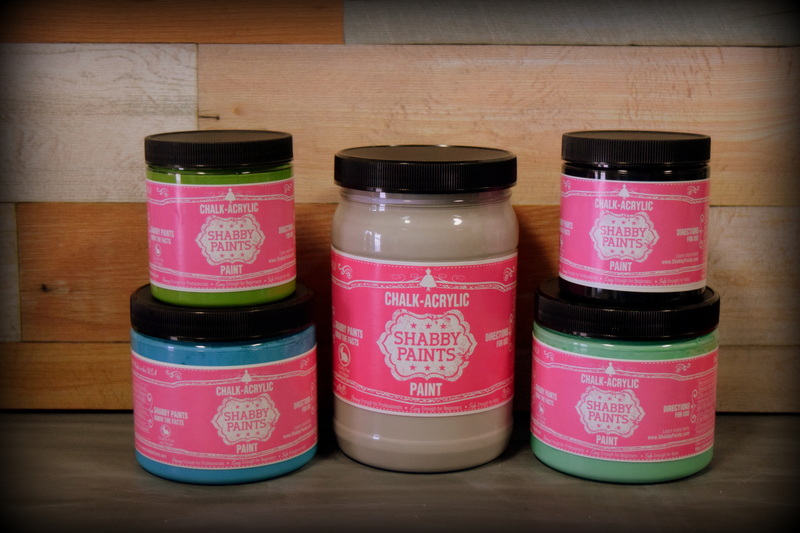 With chalk-acrylic, you want a thicker coat for ideal coverage and to allow the product to level properly. 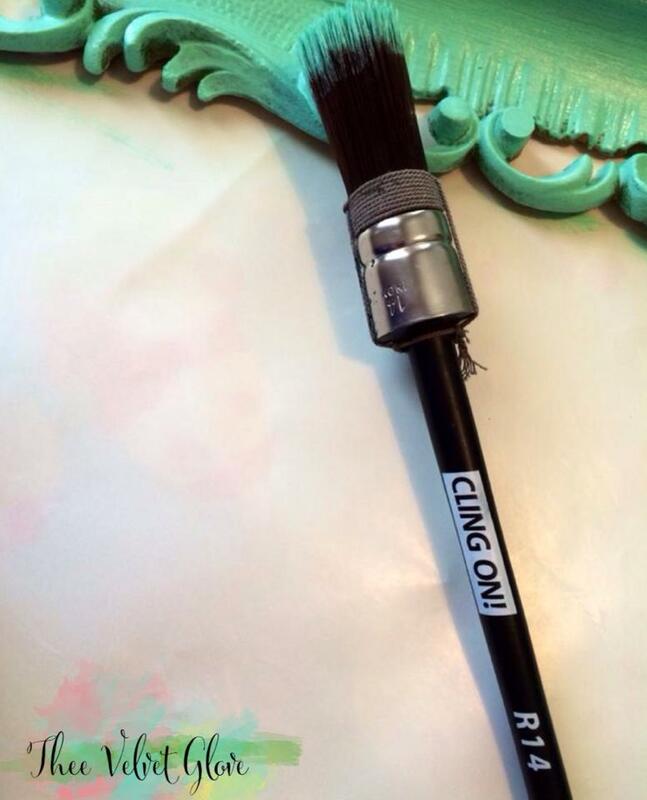 Load your brush about 1/3 of the way up (any higher and you risk having the paint get into the ferrule, it can take much longer to clean and misshape your brush in the drying process if you don’t get it all out. Lay the paint on, you don’t need to go over it multiple times, that can spread it out too thin. It’s ok to just get some more paint. Let dry FULLY and assess if you need additional coats. 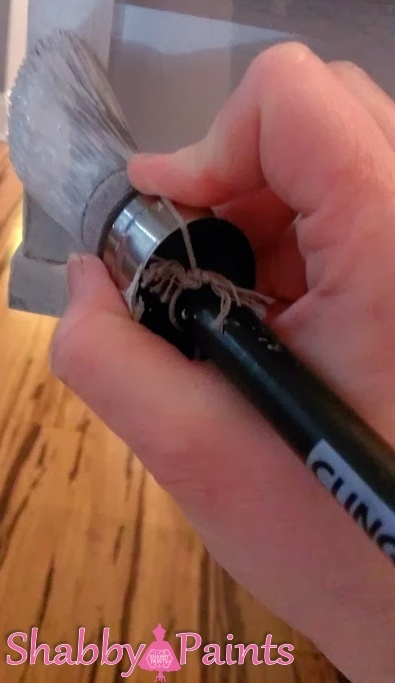 Here’s a trick- lay the inside of your arm on the piece. If it feels cool, it isn’t fully dry. Room temperature? It’s dry all the way through. 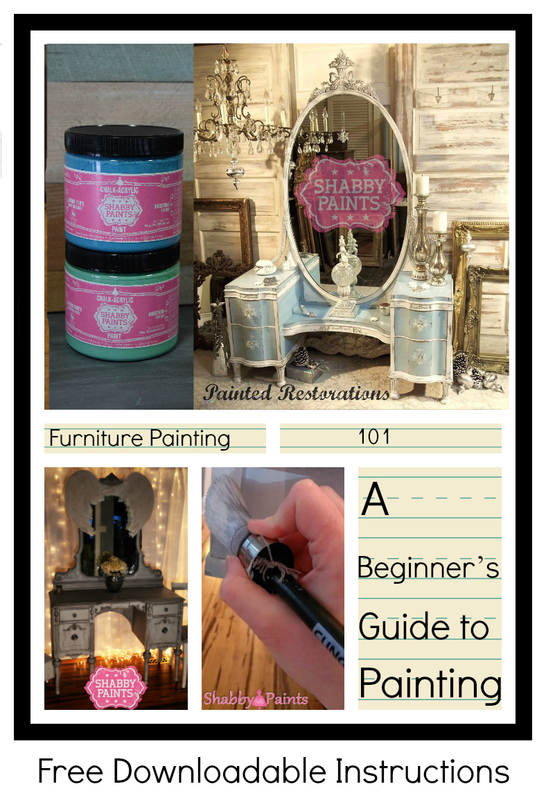 PAINTING DIFFERENT SURFACES: Wood-Easiest, done most often. Glass-Your first coat should be thin. Because air can’t circulate from underneath, allow extra drying time for each coat. Fabric-Mist your fabric first and use a 50/50 water paint mixture making sure all fibers are adequately coated with paint. Lightly sand any stiff or standing fibers with sandpaper between each coat. VAXing is optional depending on the end result you want to achieve. Laminate-Like glass, air circulation is an issue here as well. “Scuff” sanding is your friend. Thin coats are key. You may need additional drying time. Metal- Similar to glass or laminate. Will require extra drying time and initial thin coats. Waxed-Painting over wax can be a real issue. Wax is temporary and breaks down over time. This doesn’t make for a solid foundation for paint. Don’t give up, there are a few tricks that might help. Make sure the waxed surface has had plenty of time to cure..45 to 60 days depending on humidity, brand and if it was applied properly. Protect yourself, waxes are very toxic. Put on mask and work in a well ventilated area. Make a cleaning mixture of 50/50 Warm Water, White Vinegar, and a few drops of original blue dawn. Use the remaining mixture to dampen a (fine to medium) sanding block and sand the wax off. Now test an area with paint, let cure and scratch and see if it was able to bond. This is one of the many reasons we hate WAX!! Bleed- This is used to describe a stain that can “come through” your paint after the initial coat. It generally presents as pinkish (which is common with Mahogany furnishings especially in the 40s), or a “wet” dingy green yellow (nicotine). If you experience bleed through after your first coat apply two thin coats of Sheer VAX over those areas, let dry and continue on. 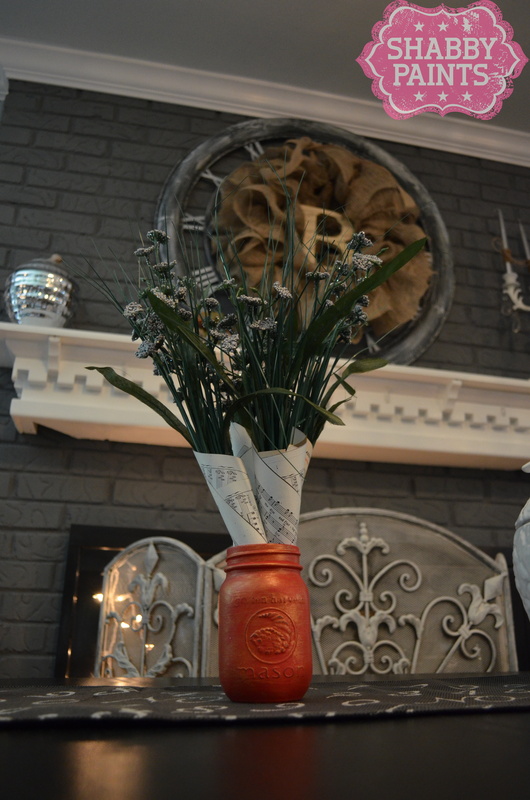 VAX comes in a Matte & Satin finish. VAX is perfect for high traffic areas like kitchens and bathrooms. 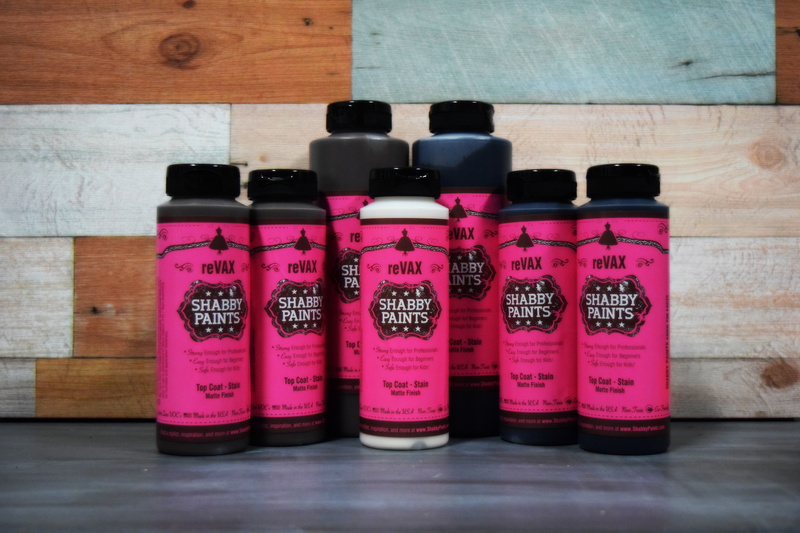 reVAX may be used as a stain on raw wood and using pigments in VAX, adds age and depth to your work. 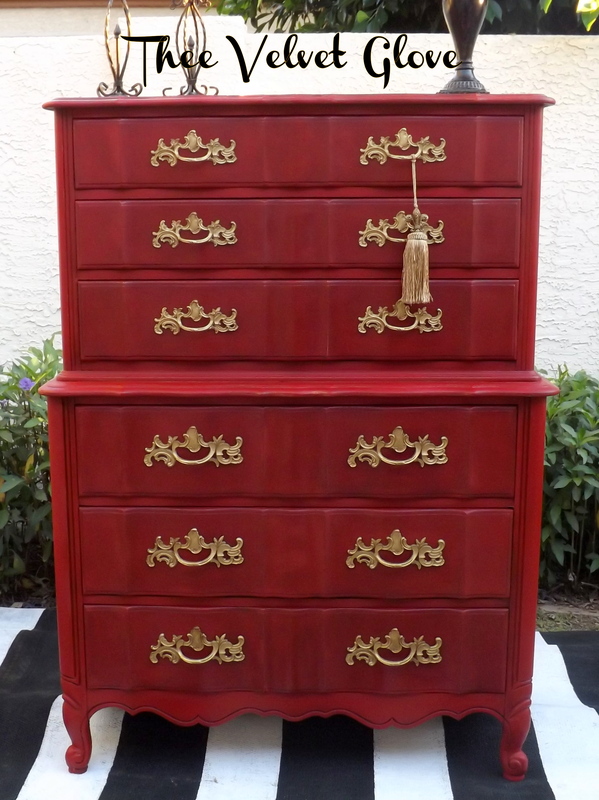 With all the finishing agents, THIN COATS ARE KEY! A VAX sponge can make application faster and easier. 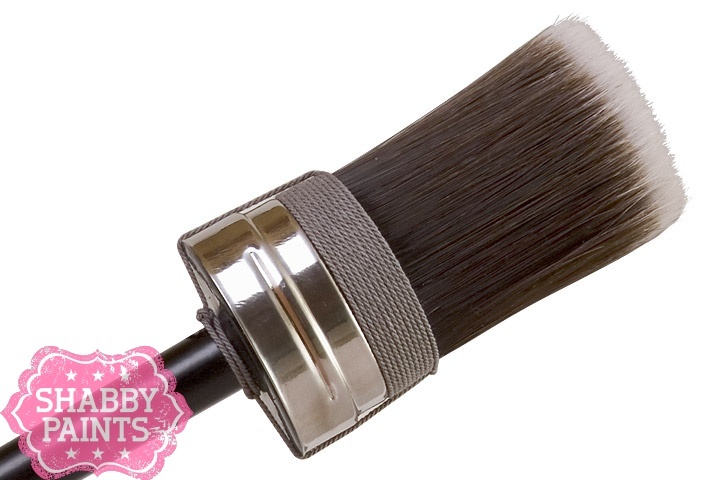 Small damp brushes may be preferred for small areas and crevices. Vax goes on best in thin coats and takes very little for complete protection. Don’t be afraid to use less. It’s easier to add more than to take it off or wait out the cure time. 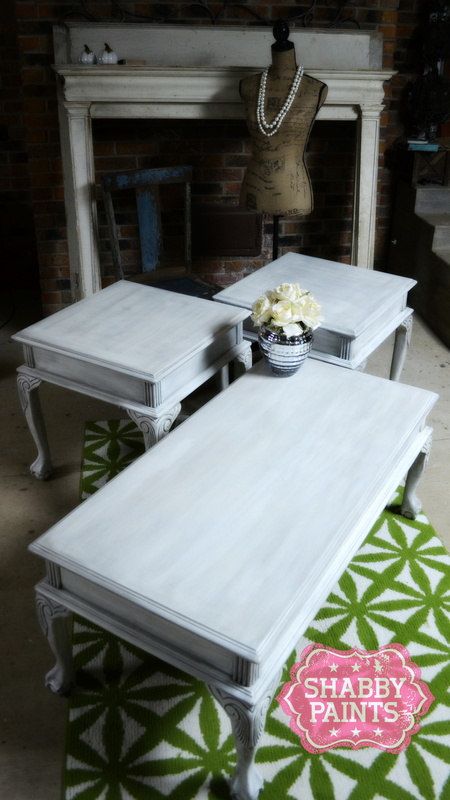 A minimum of TWO COATS is necessary for best results. The first coverage coat of any finishing agent will be spotty and possibly streaky. This is due to the absorption of the surface below. The second coat will fill in voids and assure the full coverage and protection. You must wait for 3-7 days for full cure time before heavy use or placing anything heavy on your piece. If it feels “sticky”, it isn’t yet fully cured. Humidity and application thickness will play a role as well. If it’s been over 10 days and you still feel it’s sticky, your application may have been a bit too thick. You can wait it out, or lightly sand the surface and reapply one last SUPER THIN coat (this starting the “cure-time clock” over).